CTS HQ is, I suspect, like most westie households that like to get out, about and on the fang. We go in cycles and ebbs and flows. For instance, the quite recent times when we seemed hellbent on tracking down every curry house in the west actually seem a bit like fading memories. Seems like we’ve had enough biryani for the time being! 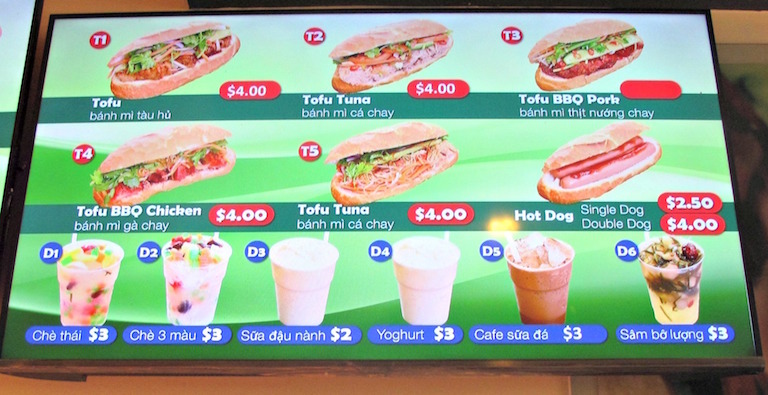 But what of Vietnamese tucker? Ah, pretty much the heart and soul of western suburbs food. Yet so deeply interwoven is it into all our lives, it’s a bit easy to take it for granted. Not that we don’t eat it regularly and even weekly. But when it comes writing and posting about it, well not so much in recent times. So it gives me giddy pleasure to wax enthusiastically, passionately about Co Thu Quan. The original version of this eatery was tucked away in Little Saigon Market, becoming one of the victims of that institution’s sad, fiery demise. 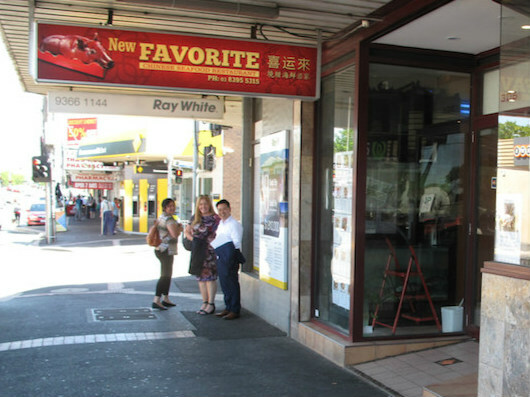 Now – after opening branches in Richmond and the CBD – they’re back! 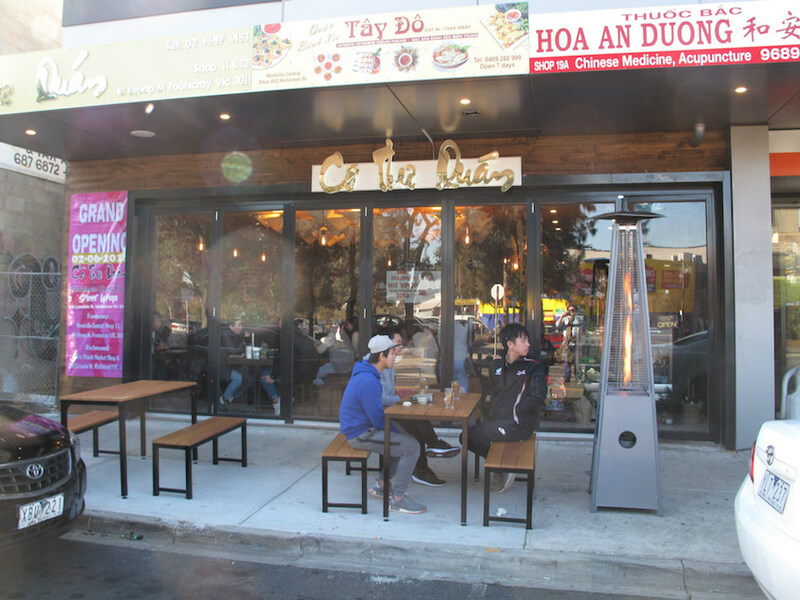 The new Footscray restaurant is on the Droop Street side of the Westville Central building, in the shopfront previous occupied by the sadly short-lived Issan Thai Street Food. 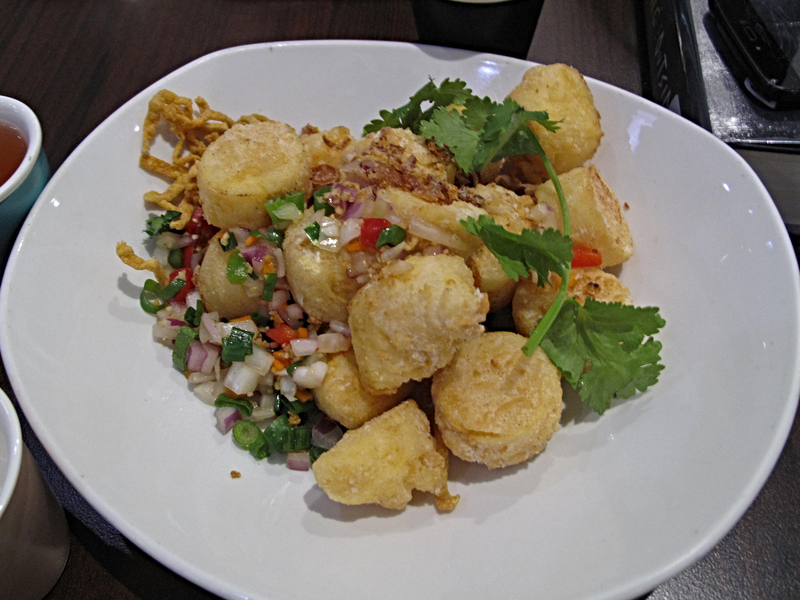 The original Co Thu Quan was all about snack-style street food. This new place, done out in nice dark wood and all abuzz with zippy, cheerful service, has a vastly expanded menu. 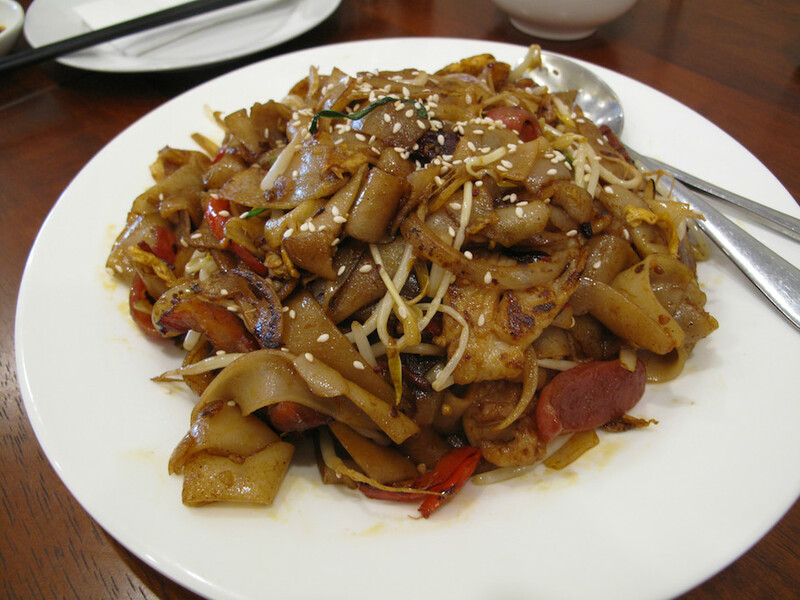 Instead of light snacks there’s a plethora of noodles, salads, vermicelli, rice, soups and much, much more. And it’s all – or almost all – cheap, cheap, cheap. Think under $15. 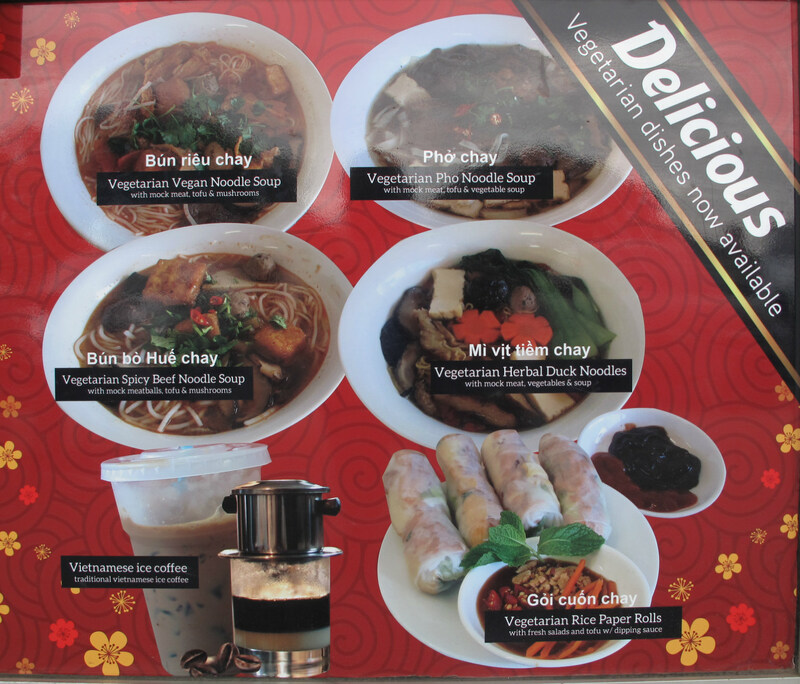 And while you can order pho here, there are so many other glittering, intriguing choices, it would be folly to do so. 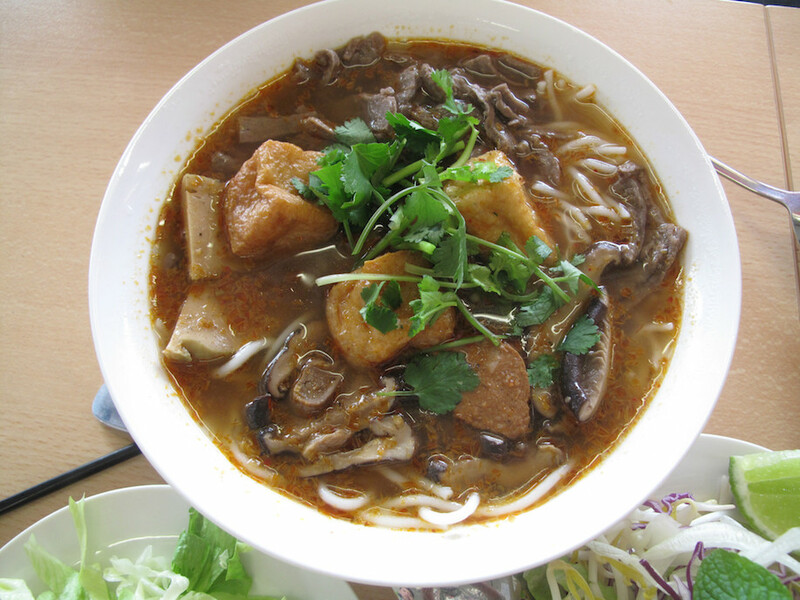 Here, by their many dozens, are dishes you’ll not find elsewhere in Footscray or the west. 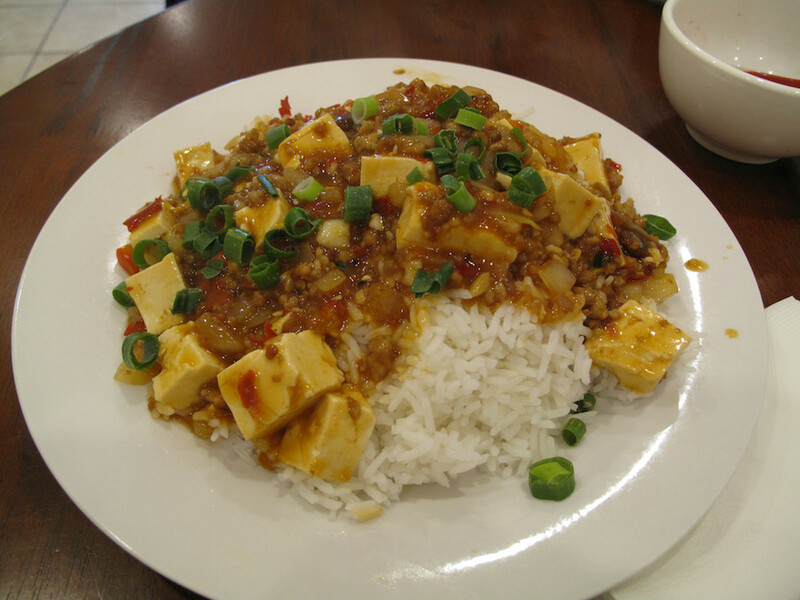 Yet, by and large, there is very little on the massive menu that is bracing or confrontational for those less adventurous or not much inclined towards the intestinal. 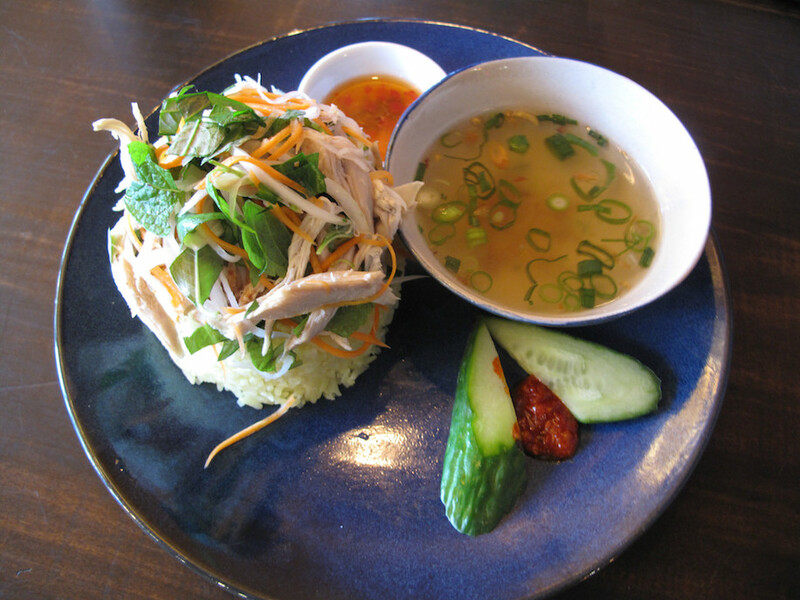 Hoi an chicken rice ($12) is a simple, light, refreshing and superbly enjoyable take on the universal chook/rice combo. There’s a lot more shredded chicken atop that rice than the above photo suggests. 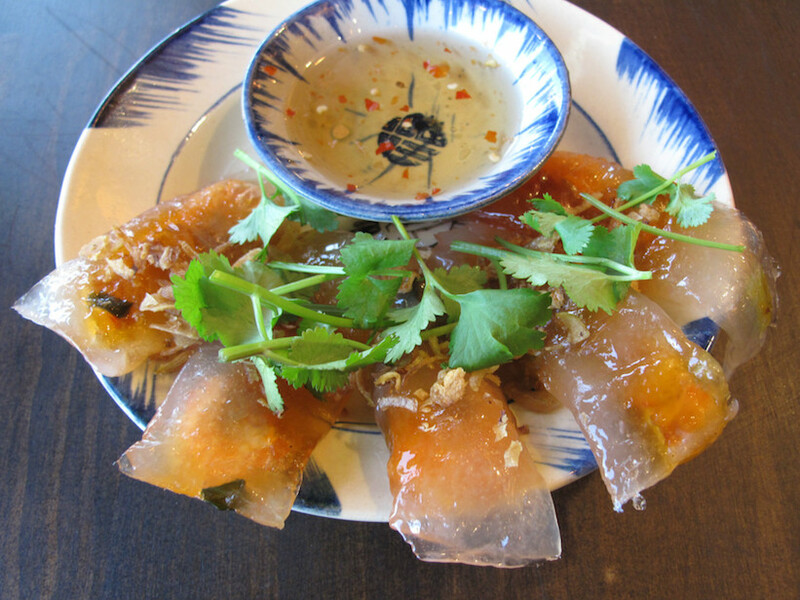 Clear shrimp dumplings ($10) are wobbly parcels stuffed with shrimp and ground pork. They’re fun to eat, but a tad shy of the flavor explosions I was anticipating. Nat enjoys slurping on his water spinach crab noodles ($12). 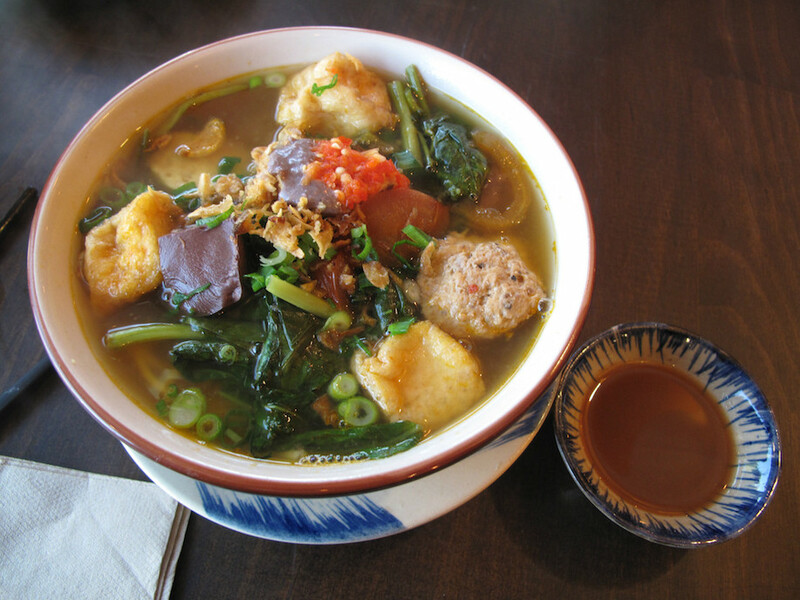 Immersed in its chicken broth and freshwater crab paste are rice noodles, pork and crab meatball, pork sausage, fried tofu, tomato, water spinach, congealed pork blood, topped with fried shallot and green onion; tamarind sauce on the side. Asked to describe it in three evocative words, he proffers pungent, salty and sour. 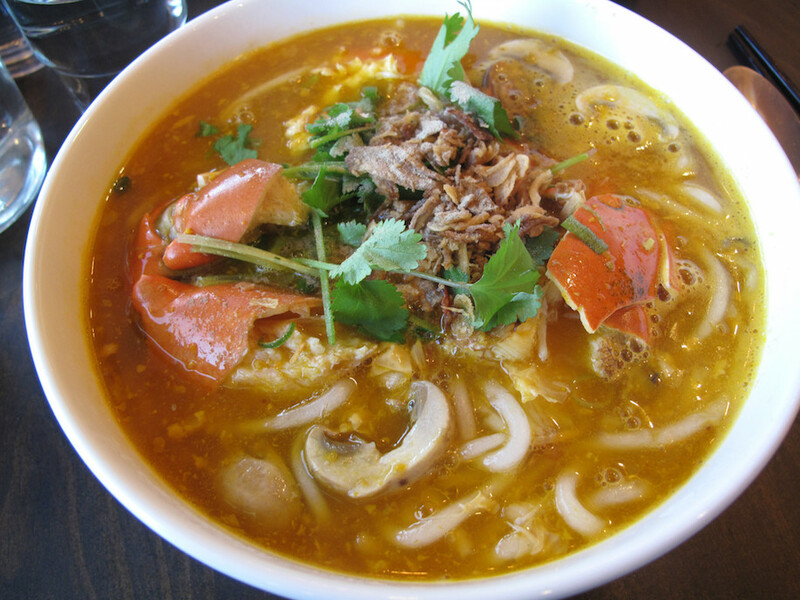 For me, Vietnamese crab noodle soup is an uncharacteristically rash choice. 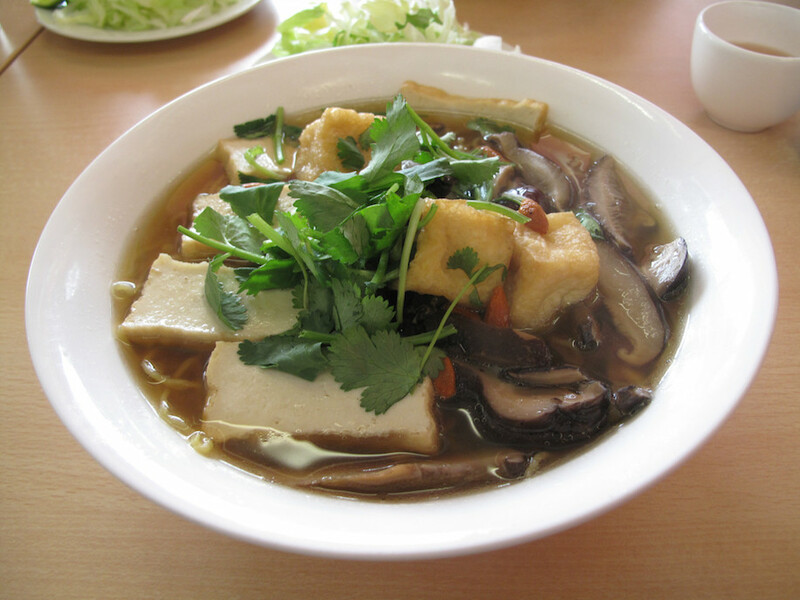 It costs $27 – a ridiculous amount to pay for a single bowl of soup noodles. But I utterly adore it and have no regrets about paying for it. Fresh crab of this quality is usually only consumed in communal settings, so I revel in my singular enjoyment of the chunky shellfish bits. But just as good is the hearty, delicious chook/crab soup in which the tapioca noodles, a single prawn and fresh mushrooms happily swim. 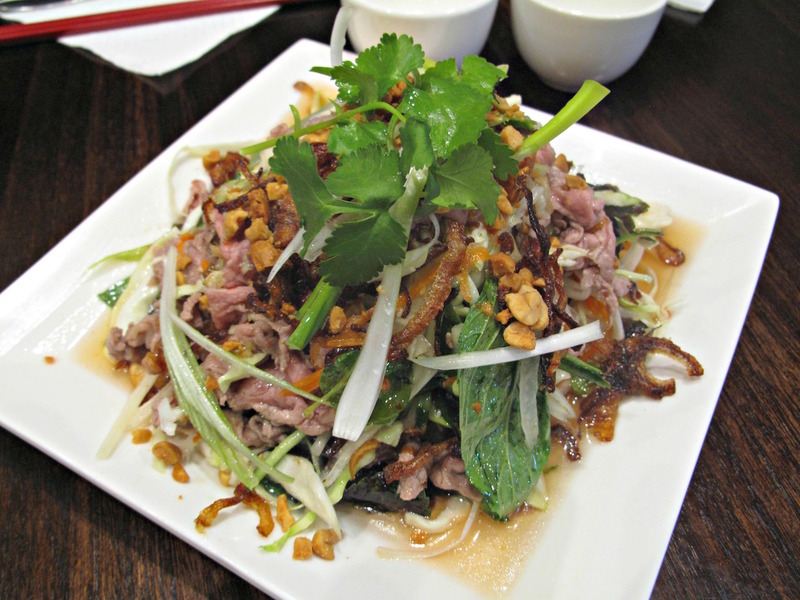 We plan on spending much time in the rest of the year exploring the Footscray Co Thu Quan menu. Consider The Sauce has been at 306 Main Road East before. But that was the best part of six years ago when it was travelling under the name Hong Kong Noodle Bar. Way more recently, the location has been embraced by new management and launched under a new name, New Favorite. 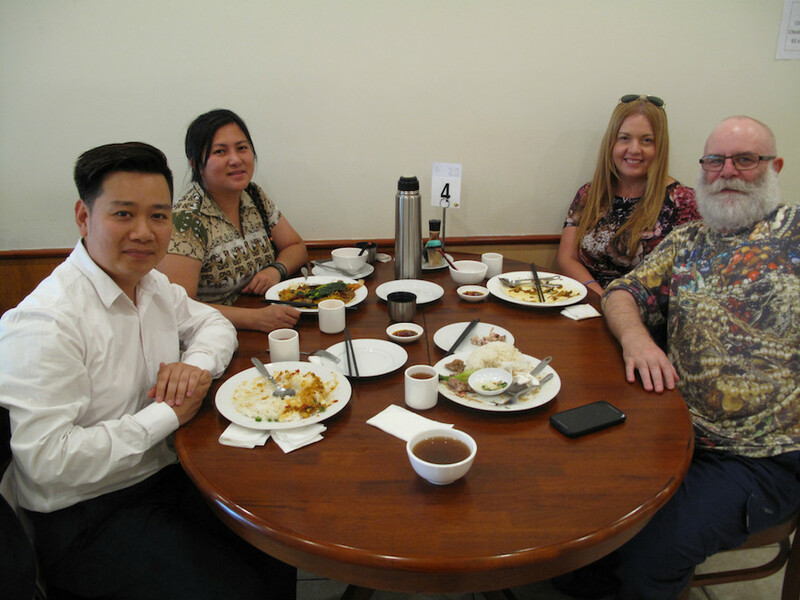 For this mid-week lunch, I have the distinct pleasure of being joined by Brimbank councillors Duyen Anh Pham and Virginia Tachos and their equally community-spirited colleague, Dinh Trang. 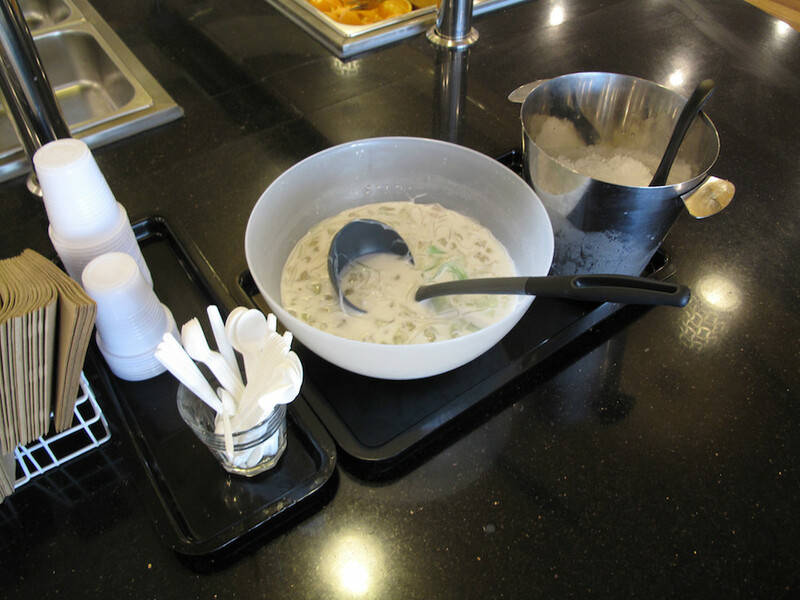 Our fun time gets rolling with one of the all-time fave CTS things – complementary soup. In this case, that means a deeply brown broth of the beef variety – much more mildly flavoured than its intense appearance would suggest. 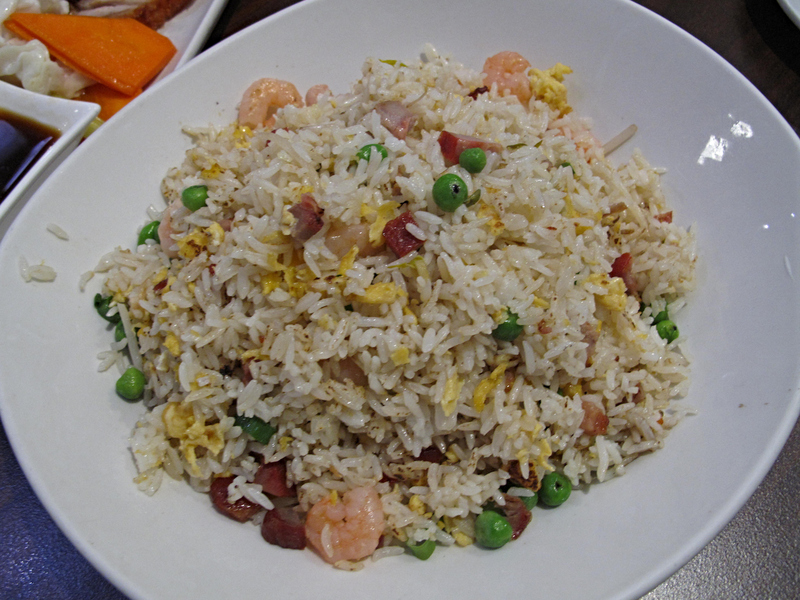 New Favorite covers a broad range of mixed Chinese, Vietnamese and “other” dishes, making it an attractive proposition in terms of an alternative to the tight focus on Vietnamese food hereabouts. The food is cheap and excellent. 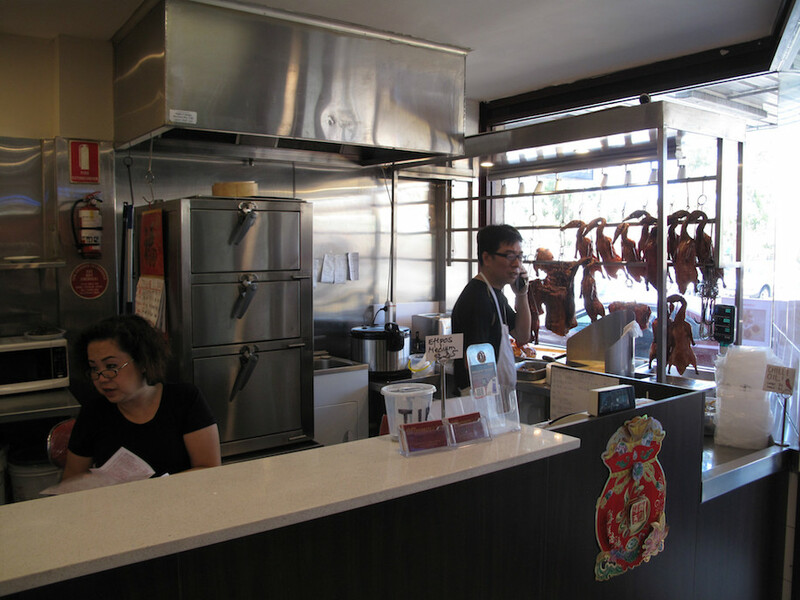 And I suspect the same giant roasting ovens are still in play, making this the only – AFAIK – option in the neighbourhood for super Chinese roast meats while Phi Phi, around the corner on Alfrieda Street, is undergoing renovations. 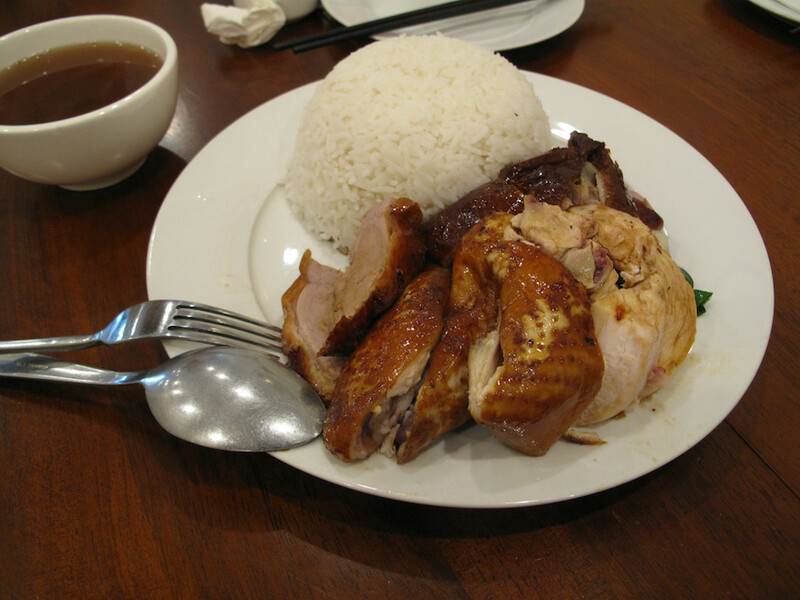 My combo of soy chicken and roast duck on rice ($11.80) is fine, with even the chunkier chook breast meat beinge juicy. As good, the duck is much less chewy and gnarly than is frequently the case. My friends enjoy their selections, too. 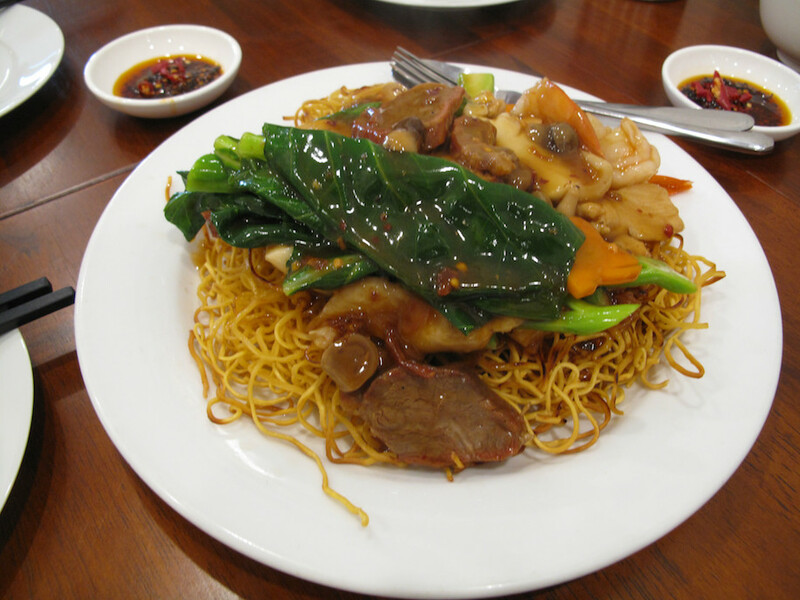 … combination fried noodles ($13.80). Thanks for the company and conversation! 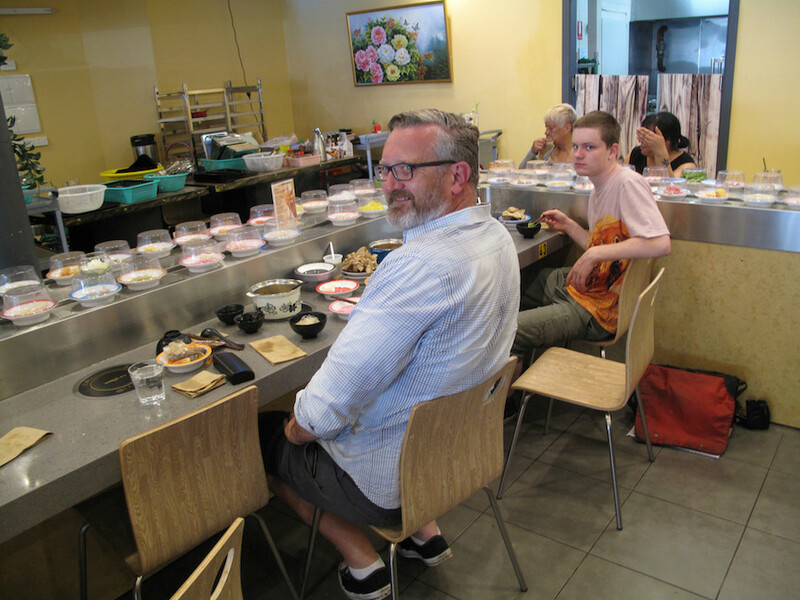 Sushi train? No! It’s hot pot train! This interesting new addition to the Footscray scene is at the parking lot right at the end of Hopkins Street, facing Franco Cozzo and Centrelink. It’s an unlovely location; a couple of previous businesses here made little impression, with vast interior of the room seeming rather gloomy. 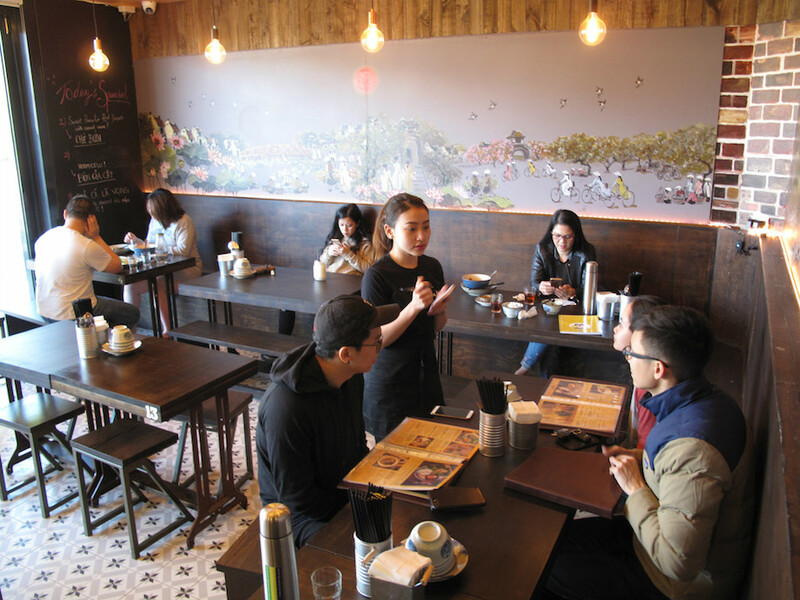 The new owners/proprietors are trying very hard to make it otherwise, with a substantial makeover finding the space much brighter and livelier. As for food, well they’re keeping their bases covered there, too. 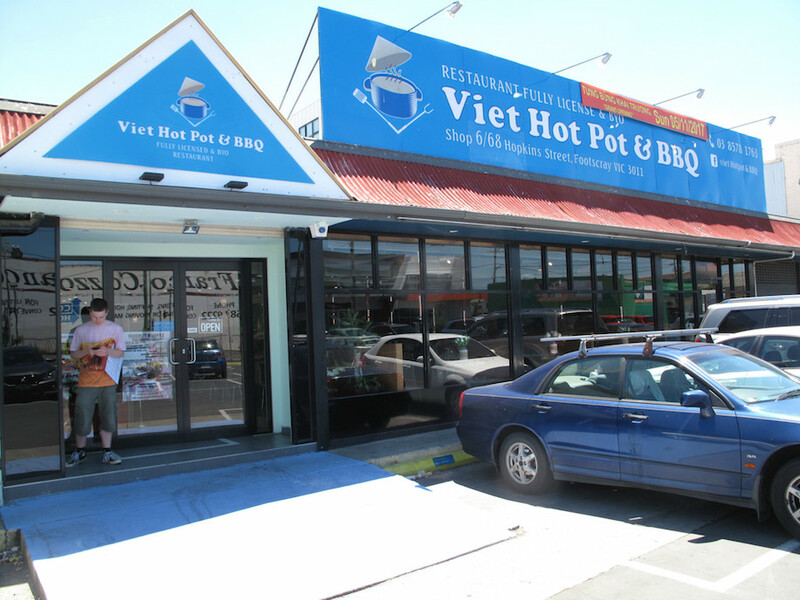 Yes, as the name implies, there’s hot pot and Viet-style BBQ. 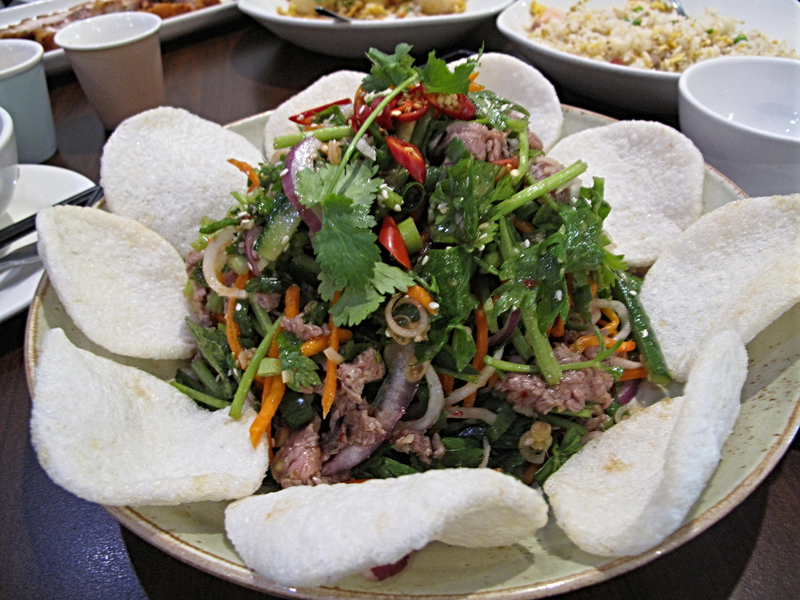 And there’s even a short list of Viet-meets-West steak, chips and salad, mostly also priced at $15. 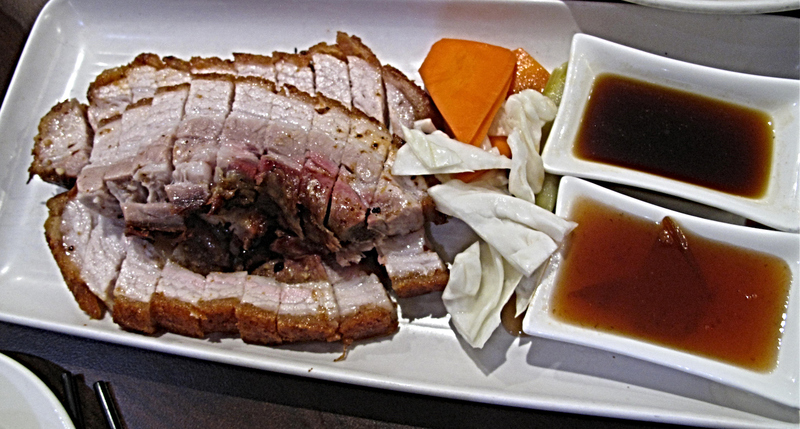 We leave the BBQ option – which appears to operate in the same fashion as the excellent Phi Phi 2 in St Albans – for another time, presumably a night visit when we’re prepared to spend a bit more freely than for a quickie mid-week lunch. 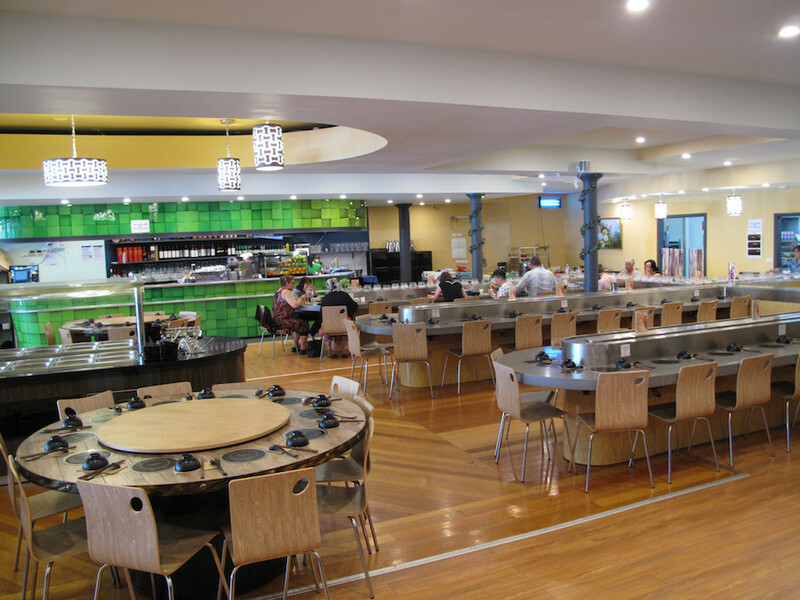 We – CTS Thing 1 and Thing 2 and our good pal Justin – go instead for the lunch deal on the hot pot buffet. This costs $32 per head for dinner, $35 for Friday, Saturday and Sunday nights – and $25 for lunch. We figure, or hope, this will be a tasty bargain. So it proves to be – though we have a few quibbles. The way this works here is a new one for me. 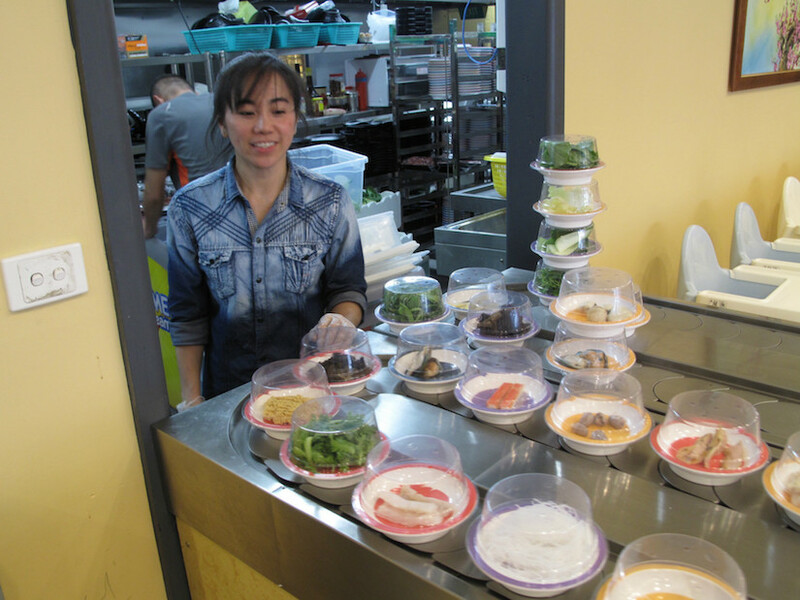 They use a conveyor belt – familiar from the sushi trains around Melbourne – to deliver the hot pot items. 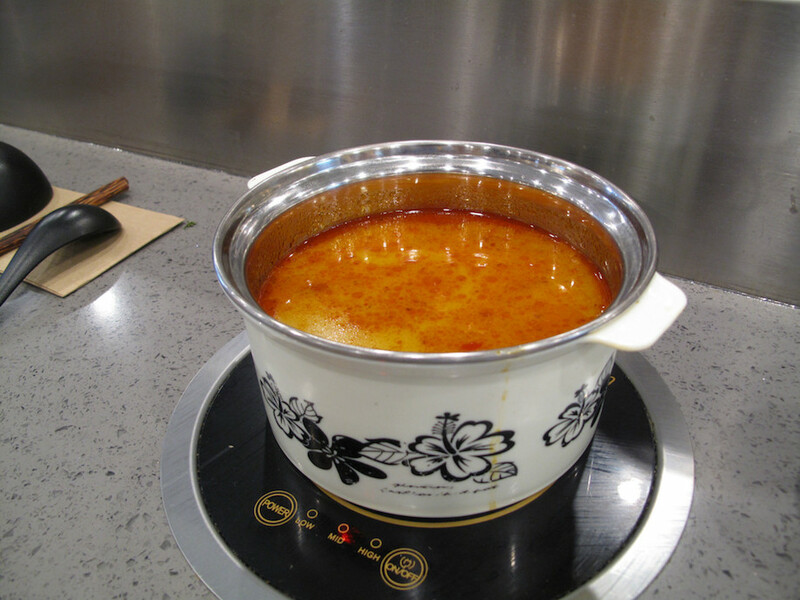 Each diner has their own adjustable hot plate, on which is placed their soup of choice. I go for the spicy. 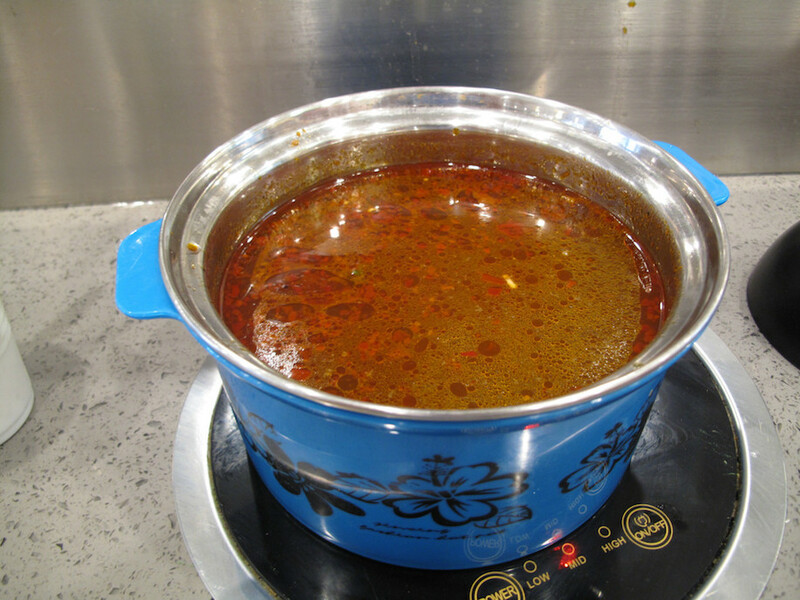 It has the same deep and mysterious seasoning I am familiar with from other hot pot joints, but is only mildly spicy. 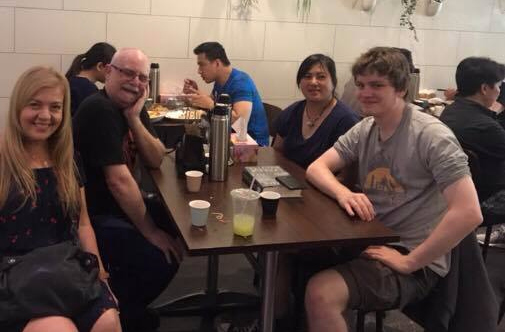 Justin and Bennie go for the laksa and enjoy it. 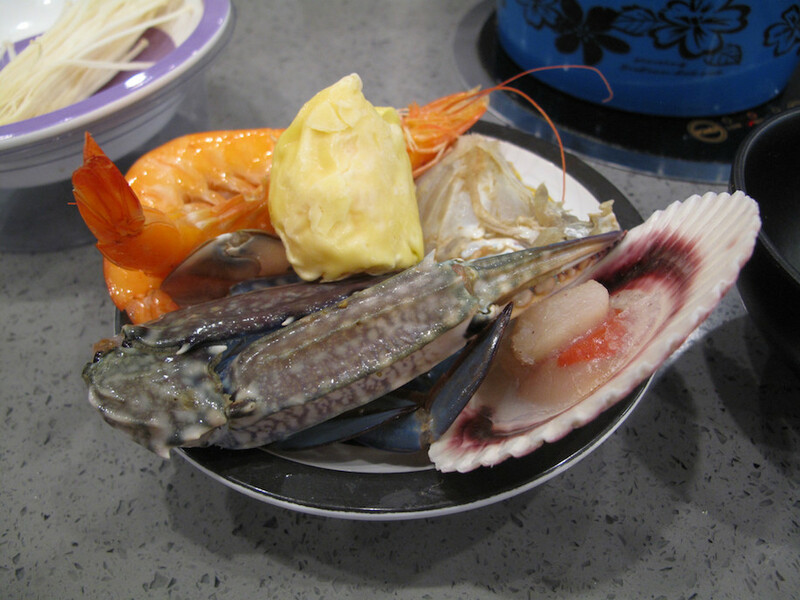 We are also provided our own individual bowls of seafood – a couple of good-sized prawns, a won ton, a scallop and a big chunk of blue swimmer crab. The crab and prawns are pre-cooked, but still good. From there, it’s on to the very many conveyor belt goodies. There’s green veg of various kinds, as well the likes of corn. Straight-ahead meat is down to sliced beef and pork. There’s fungus of several varieties. There’s surimi of various shapes and sizes. There’s more seafood – I find the mussels, which look like they may be chewy monsters, are actually nicely tender; and the small pipis are good, too. There are many things that appear to be starchy and carby. Because when it comes to many of the offerings – notably those of what we presume are of the starchy, carby and gutsy variety – we are very much left wondering. We ask for help, but not even the staff member who appears to be the floor manager offers much by way of enlightenment. This is a bit disheartening. Justin is his usual affable self; Bennie is still practising his serial killer stare. Kudos, though, for his laksa-proof attire. But we do eat well and very affordably. 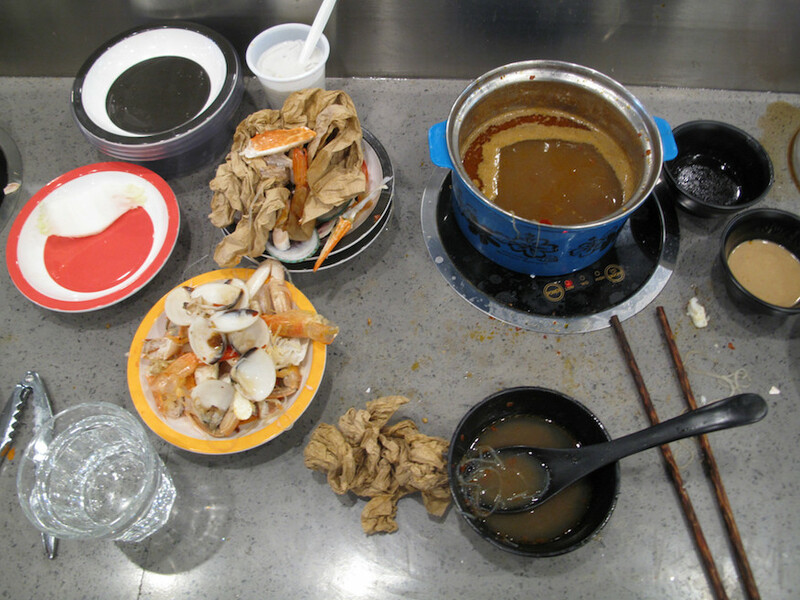 Though the overall impression is of quality that’s not quite up there like a more ritzy, and pricey, hot pot night out on the town. But that’s what you get for $25. And I have more than enough confidence in the adaptability of Vietnamese cooking to be looking forward to trying one of this place’s steak ‘n’ chips meals. 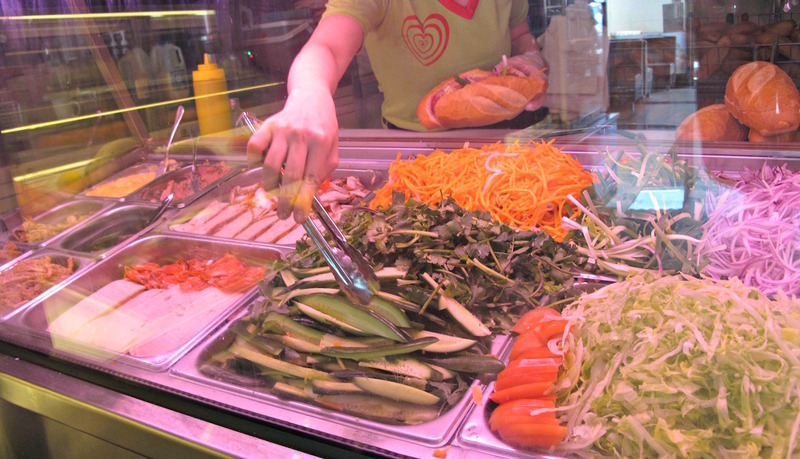 There are several places that specialise in banh mi on Alfrieda Street, but mostly they’re geared to take-away trade and have only the most rudimentary eat-here-right-now seating arrangements. 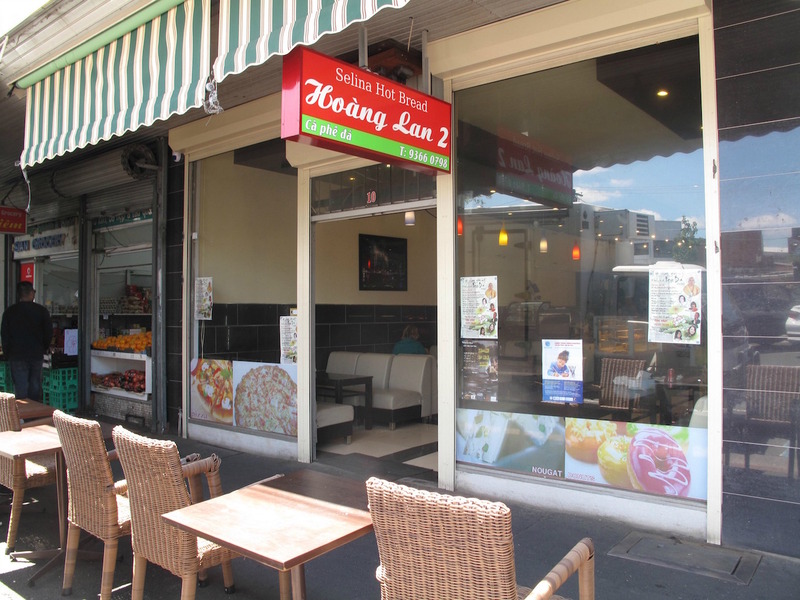 Which is why I choose Hoang Lan 2 and its cafe vibe and plush seats. 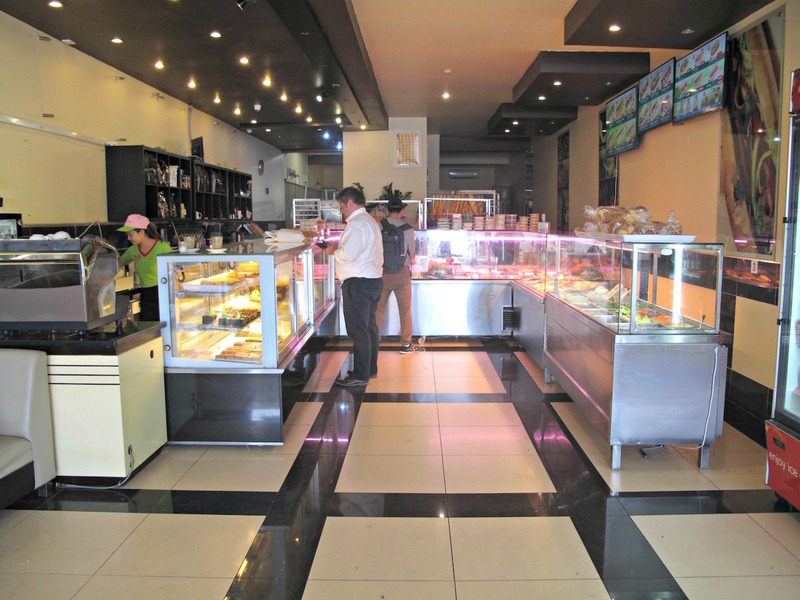 There’s many kinds of Vietnamese snack things available here, as well as cakes and pastries and coffee. 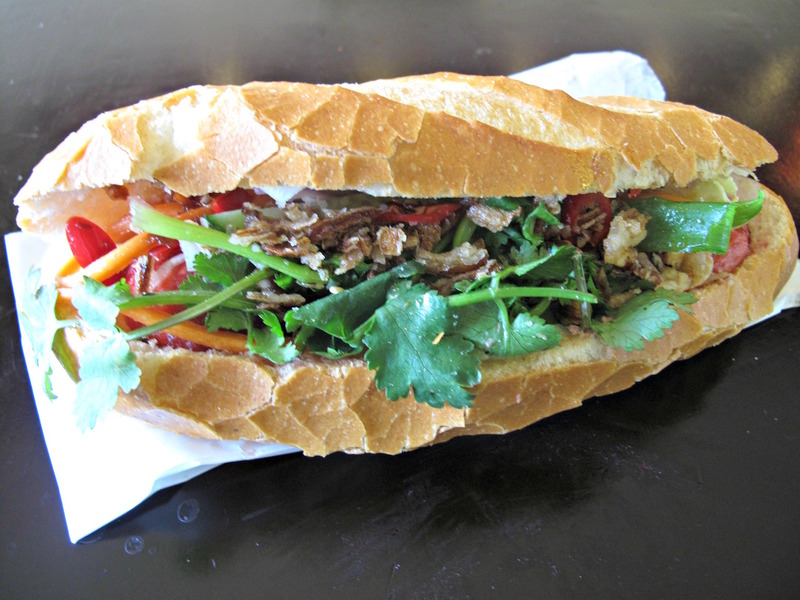 But it’s banh mi that’s on my mind. I ask what are the most popular … and am told numbers 7, 8 and 12: BBQ chicken, BBQ pork and roast pork. So I do the obvious – and choose meatballs instead. The bread is crusty and fresh and my sanger is well stuffed with two halved meatballs, pickled carrot, chilli, mayo, coriander and more. 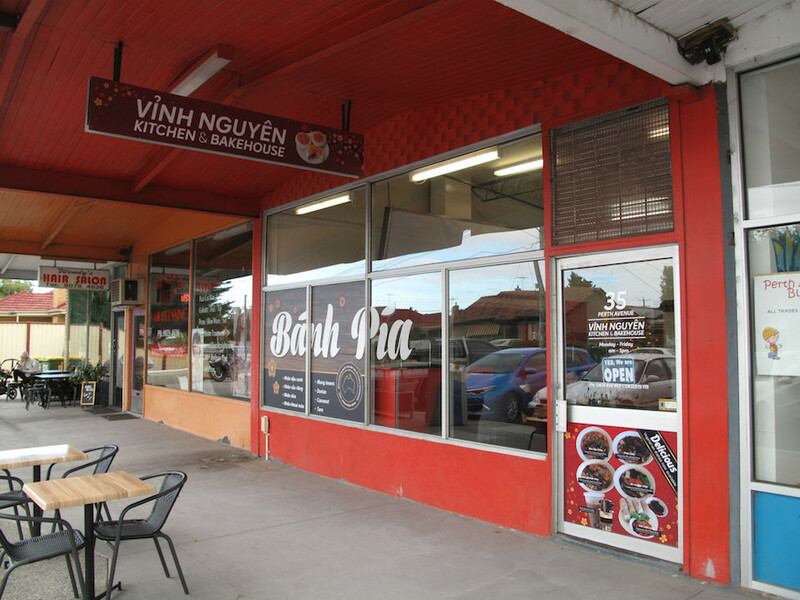 Viet Kitchen is right in the very heart of Vietnamese Footscray, sharing a block of Hopkins Street with such popular places as Sapa Hills and Bun Ta. In our search for the Good Stuff all over the west, we do sometimes overlook what is right in the midst of the inner west. 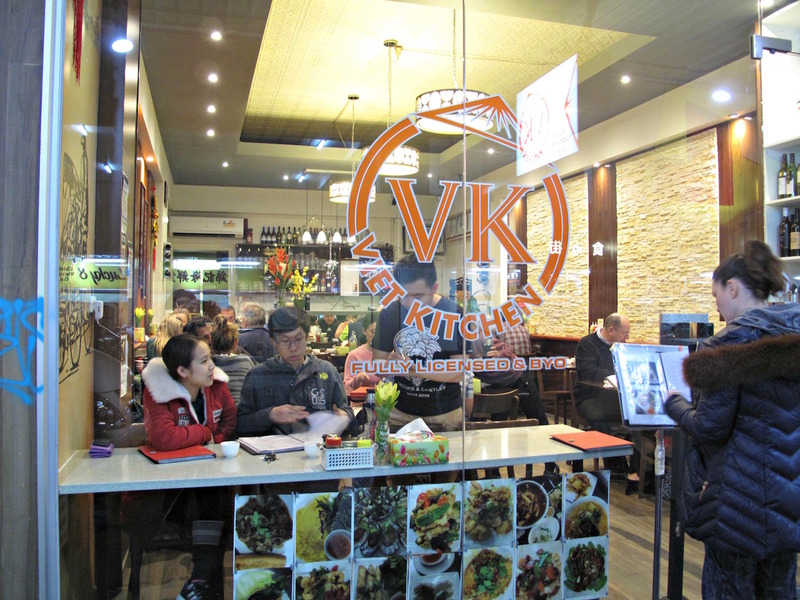 So it’s taken us a while to get around to Viet Kitchen, despite receiving a few reader recommendations in the past year or so. We end up awfully glad we’ve made the effort as we enjoy a really excellent meal. Though things get off to humourously shaky start when our server assumes Bennie is my grandson. That was a common occurrence when my son was quite a lot younger and I was already old. But now, when I’m not much older and he’s taller than me and still has plenty of growing to do? No matter – my outrage is all of the mock variety. 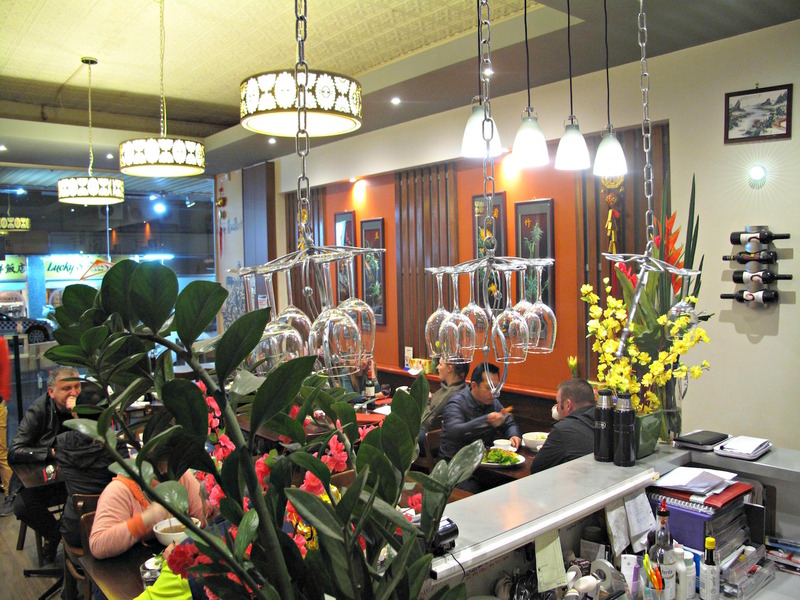 Like its neighbours, Viet Kitchen makes a bit more of an effort than formica tables – it’s a sweet space. 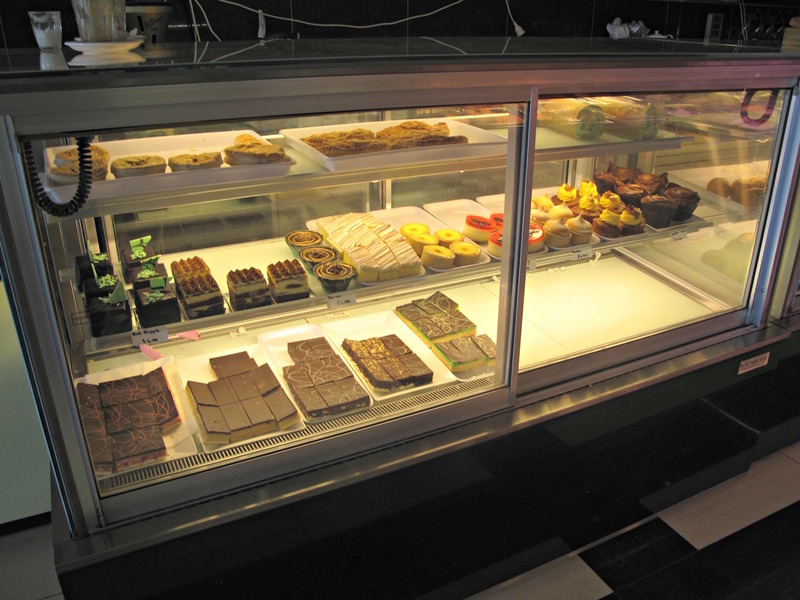 Many of the customers seem to be regulars and we find the service and wait times to be fine. 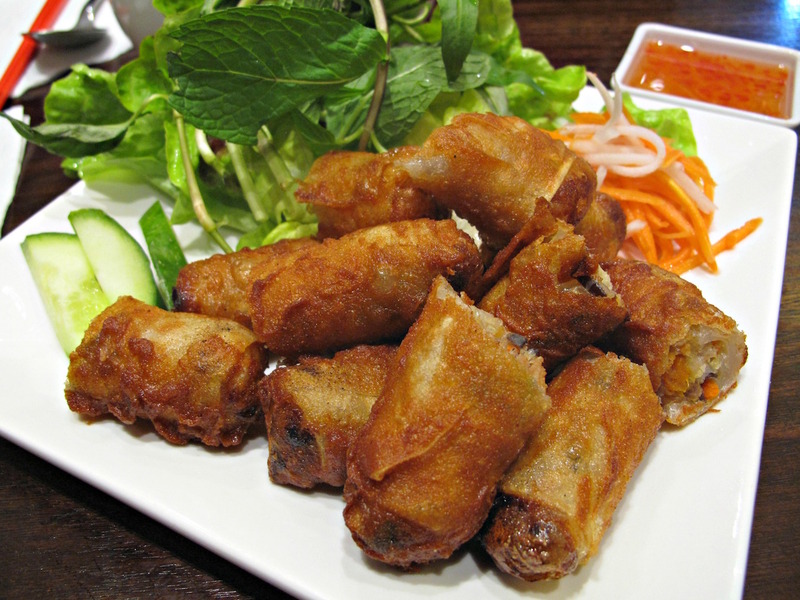 We like your regular spring rolls as served across the west as much as anyone, but my understanding is that in terms of the wrapping/pastry used they are an adaptation devised by the Vietnamese diaspora. So when we spy the more authentic cha gio Viet Nam, we pounce with glee. These chopped-up six rolls ($10.80) are fine, with a stuffing of seafood, pork and mushroom. 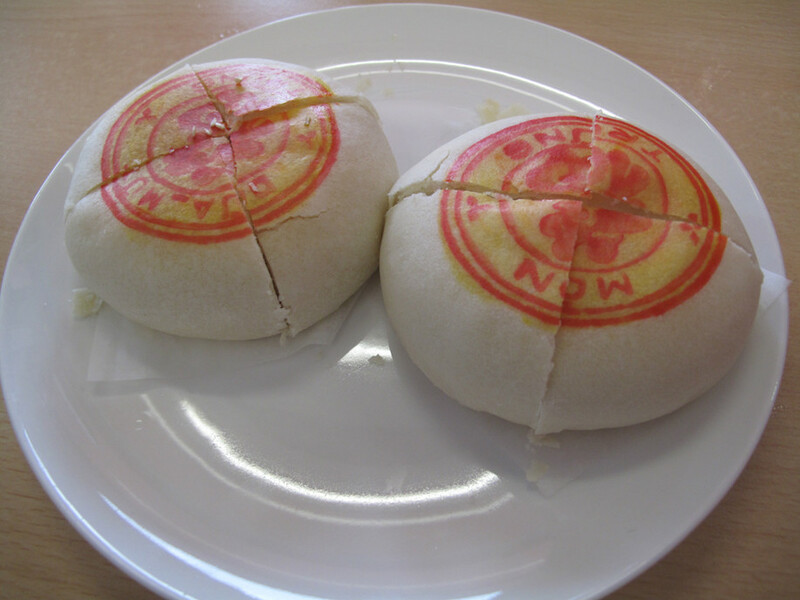 As good as those served at Xuan Banh Cuon in Sunshine with slightly different accessories? Maybe … a matter of individual preference, I think. The spicy beef noodle soup is a sinus-blasting hoot. 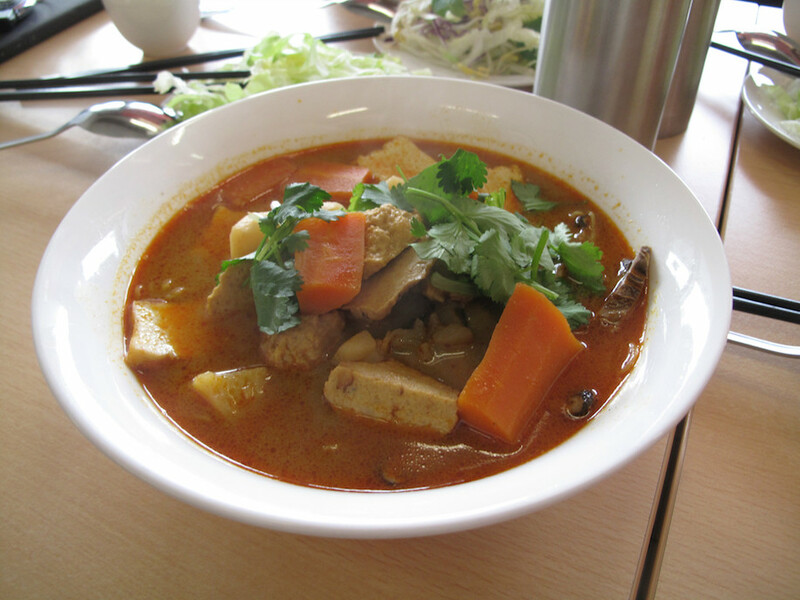 And, yes, it IS spicy – though no more than any experienced Footscray food trawler will be able to handle. 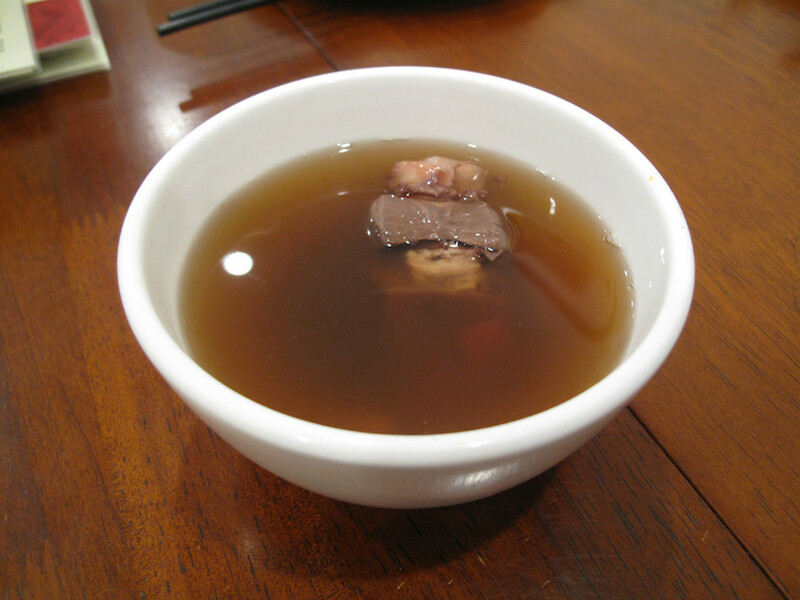 The “beef” tag is somewhat misleading, as it refers only to the broth on which the dish is based – also in the bowl, along with brisket, are slices of pork and pork “ham” (sausage). 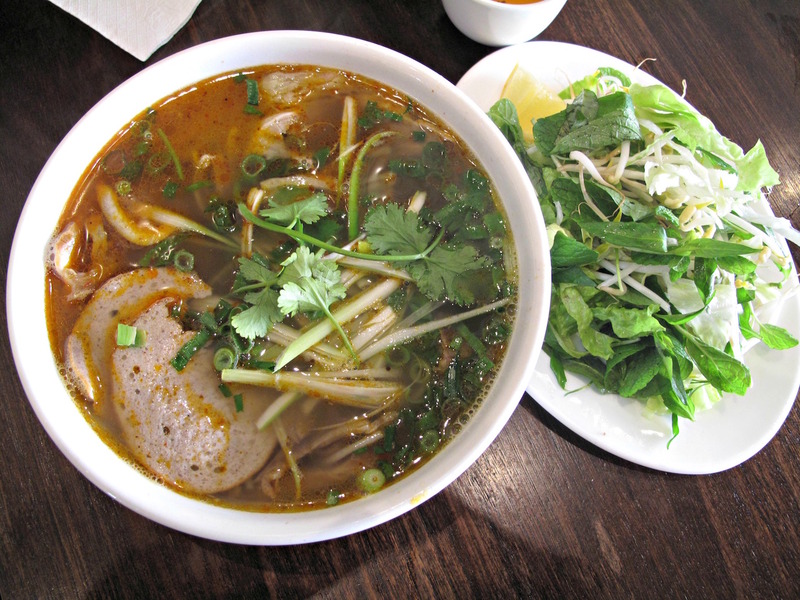 With the attending greenery – its variety a nice change from the standard herb/sprouts mix that comes with pho – this a straight-up, all-out winner. Most Vietnamese restaurants in the west, it seems and based on our wide-ranging adventures, only serve their various coleslaw offerings in large, family sizes – as with the “farm chicken” ($23) version served here. So once again we pounce when we see a smaller portion of the rare beef rendition ($10) on offer. It’s a zingy, tangy, crunchy wonder, with the plentiful and very good marinated beef still pink. Even more peanuts to really send the textural contrasts into overdrive. 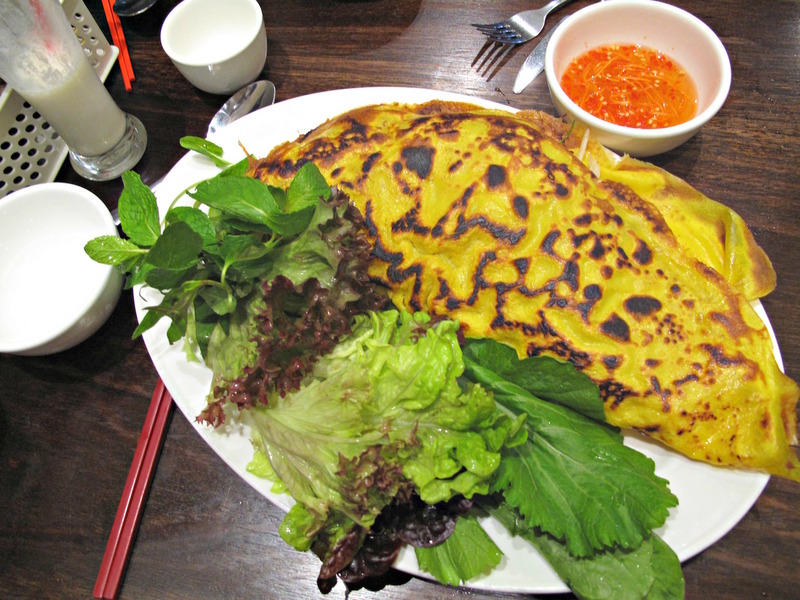 The Vietnamese pancake (with seafood, $16) is another successful order for us. Despite the wetness of the rather bland filling (small prawns, calamari, fish, sprouts), only some of the large pancake becomes soggy – and it all gets devoured with yet another variation in the greenery/herbs department.